Glass Structures are specialists in the creation of stunning contemporary buildings and extensions based around the benefits of structural frameless glazing and virtually frameless doors, namely a purer look, designed to let more light in and to give uninterrupted views out. Our design team and experienced structural engineers work together to create modern, comfortable living spaces that are both practical, and a joy to live in, as well as giving a definite wow factor. 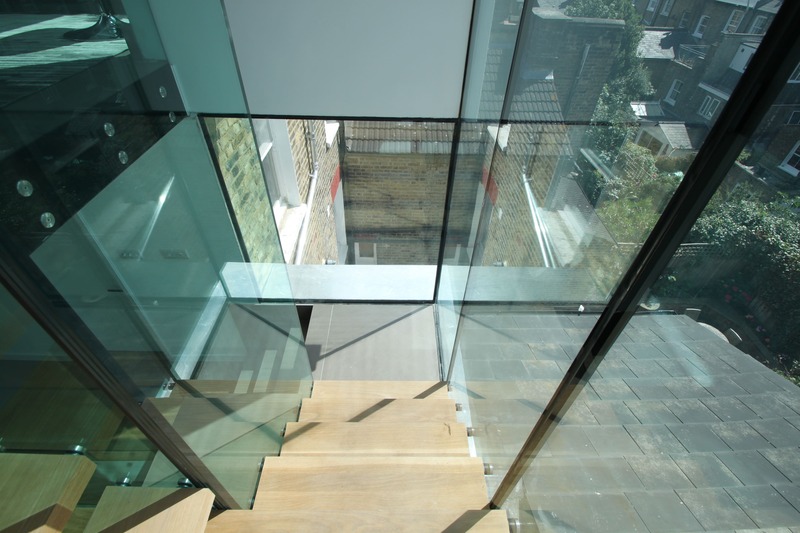 Glass Structures can provide a full, in-house service to our clients throughout the UK. From initial design concepts to installation to project management – we can take care of everything, under one roof, with complete peace of mind for the client. 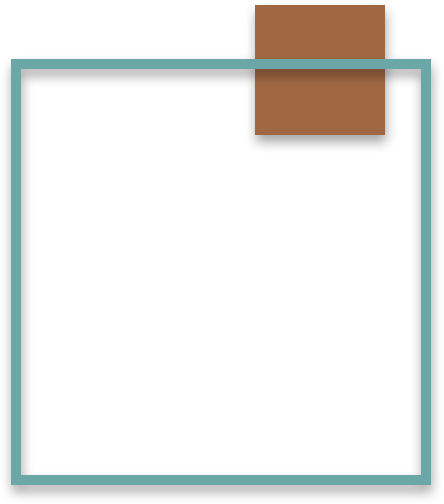 Our initial design consultation is free of charge and will usually include detailed costings as part of the process. 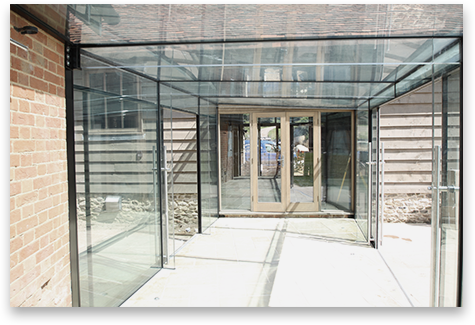 Both English Heritage and local authority Conservation Officers will often recommend that 'glass box' extensions are used when extending out from a Listed Building. 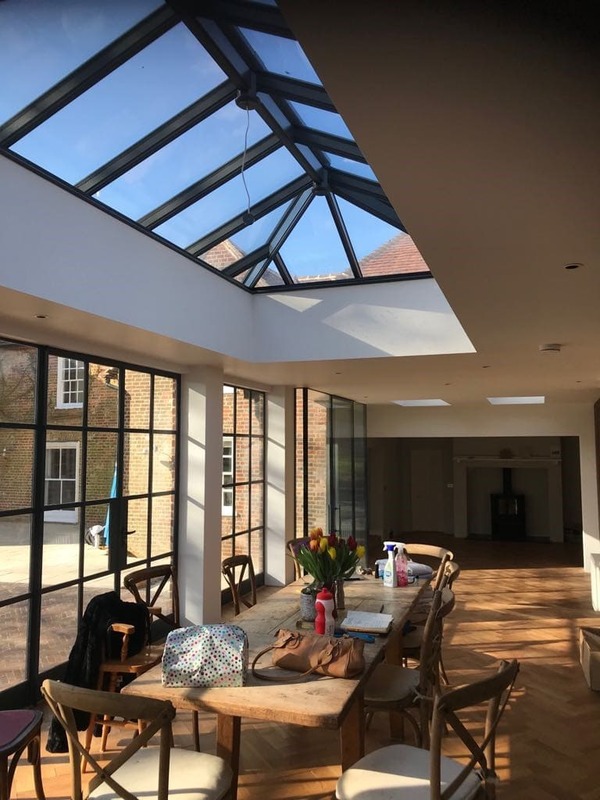 A glass addition that is architecturally modern, and has a minimal impact upon the host building, as they make a clear distinction between old and new will often be viewed more favourably than a traditional extension or Victorian style conservatory. Once acclimatized to the idea, and having seen the end result, our clients have been delighted with our contemporary additions to their historic homes. 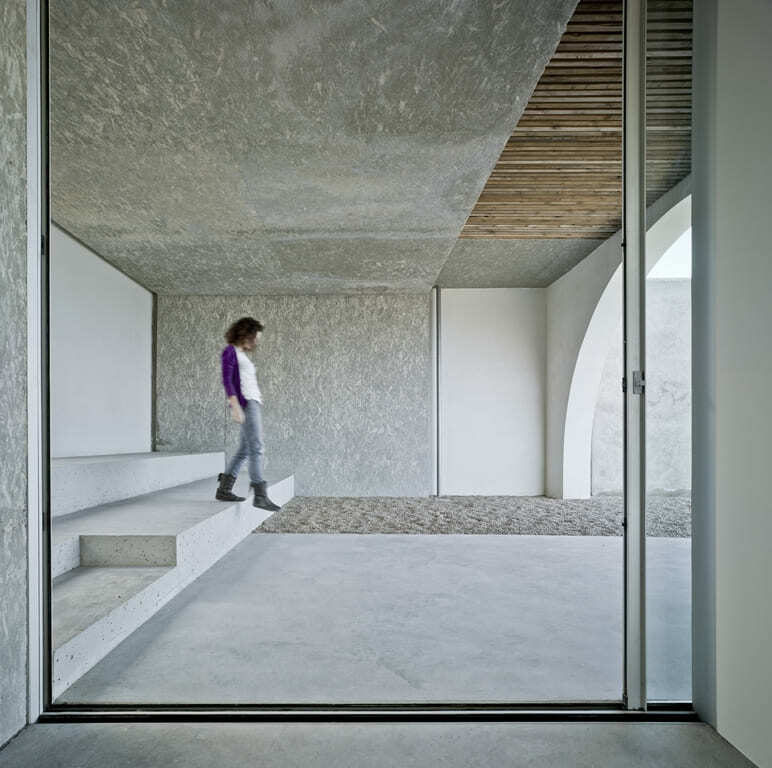 Now, the trend is for open plan living, and letting in as much light as possible. 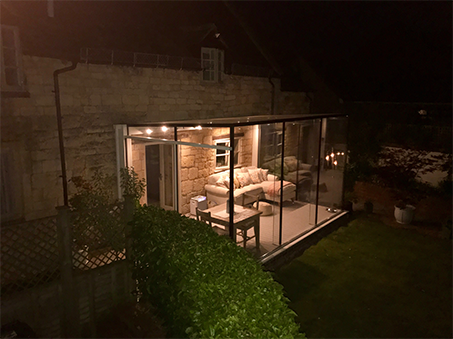 Glass extensions are a great way of improving and adding value to your home, extending the space, and letting in lots of light which can reach every corner of the house. 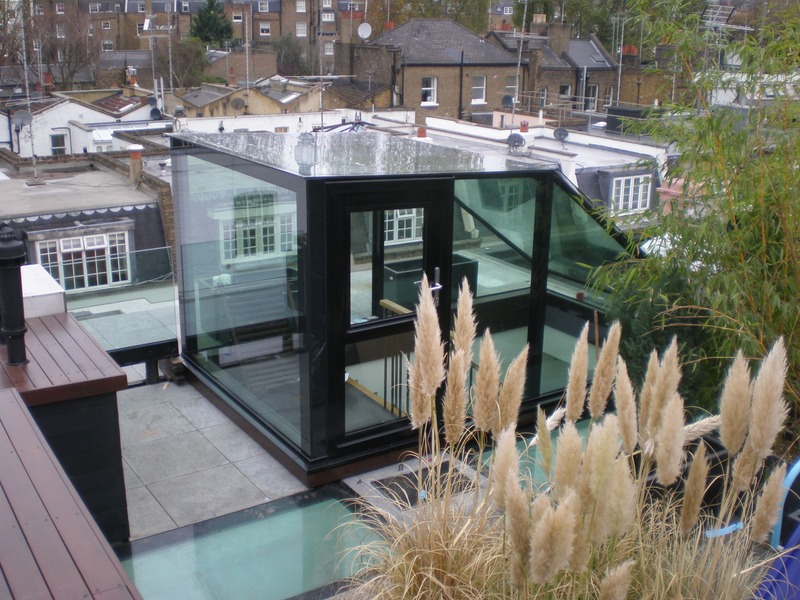 Glass extension brings many advantages to a home, its inhabitants and their lifestyle. 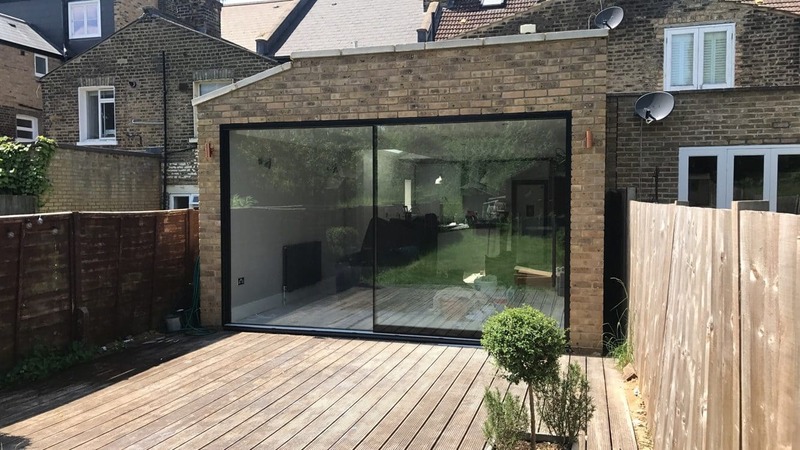 When it comes to adding more space to a home, glass extensions are definitely one of the most popular options people are opting for these days. It looks glamourous, it improves the relationship between the internal spaces and the garden at the rear. 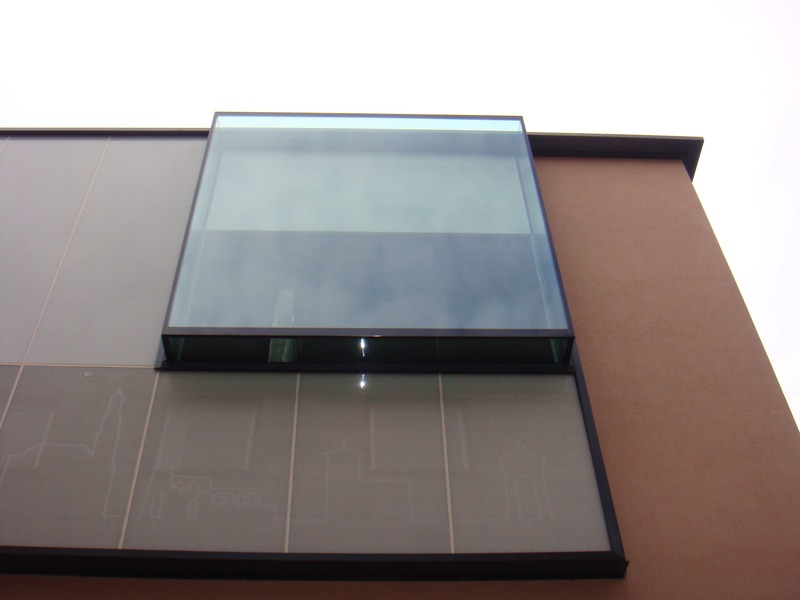 Glass extensions will blend into any type of property. Its appearance is more appealing than the traditional glass extensions and is a beautiful way to connect different parts of the home to the outside. Each glass structure is individually designed and manufactured to meet your requirements allowing you to make the most of your available space, however large, small or unusually shaped. 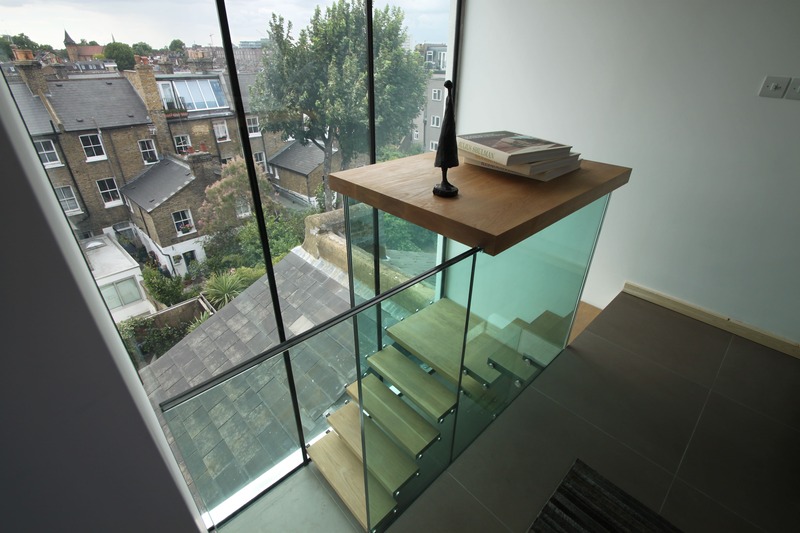 There is a glass extension option suitable for everyone. We are going to assist you from start to the end, from your vision to finished project that looks amazing. Design. We offer a bespoke design services to help you to develop your idea at the beginning, we can provide computer generated images to help you imagine the way new glass structure will transform your home. Details and drawings to assist you getting through a planning. Alternatively, we can arrange a site visit to your property to understand what you are specifically wanting to achieve and discuss your requirements in more detail, leaving you with options and pricing to consider. Site survey to establish site access arrangements followed by technical, fabrication and setting out drawings. Manufacturing period. Manufactured entirely from highest quality materials and pioneering range of patented solutions for architectural glass installations. Using self-cleaning coatings on glass and solar control technology which exceed the performance criteria outlined in the latest building control regulations. Installation by our expert team. We work hard to make the installation process of adding a new glass extension with the minimum of fuss and the highest to the highest quality standards. 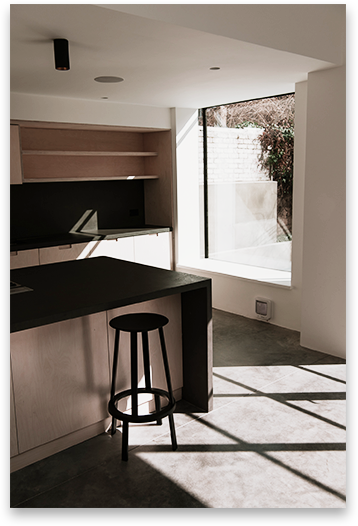 The use of frameless glazing to complement the minimalist design of this beautiful home in London to allow as much natural light in as possible. Rather than a full box, this extension utilises space by using glass to infill the area between the house and its neighbour. The ground floor has been opened-up and extended to allow the spaces to flow into each other, creating a light and unified space. Oriel window not only complements the minimalist design of the property it really does inject that wow factor. Also creating an all year-round living space allows a nice space to sit and enjoy the outside whilst being inside. 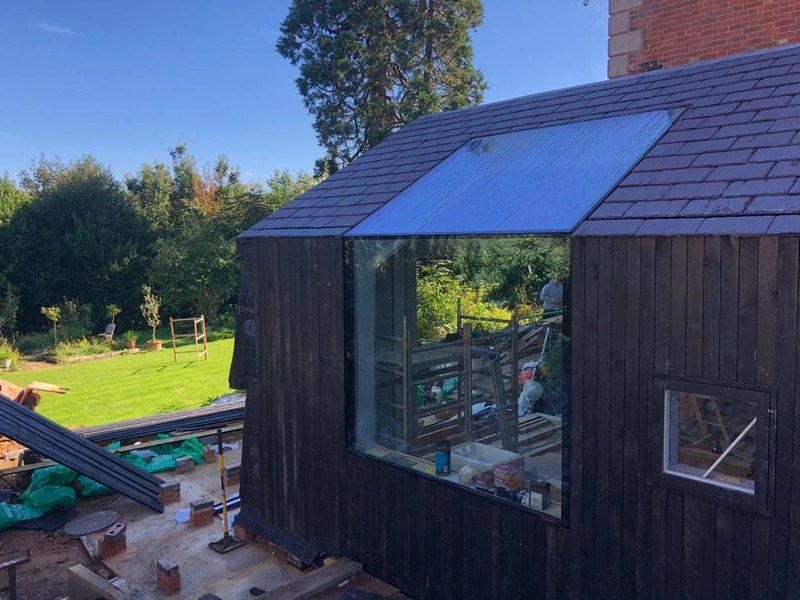 At Glass Structures we manufacture and install using the latest in glass technology, our expert team of construction specialists can provide double and triple glazed products to ensure your extension remains warm in the winter and cool during the hotter months. This creates the perfect living space for you to enjoy all year round. 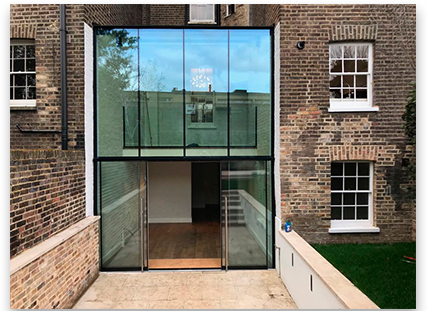 Glass Link can provide the best possible link between two buildings and is particularly appropriate to link an old building to a new extension, providing an indirect interface between buildings of different ages or built in different styles. Glass links not only connect buildings but they can also be turned into habitable spaces. Standing at over five metres tall, this glass box has been made into a double storey extension to illuminate two levels of this family home. Structural support comes from the triple-laminated low iron glass beams. 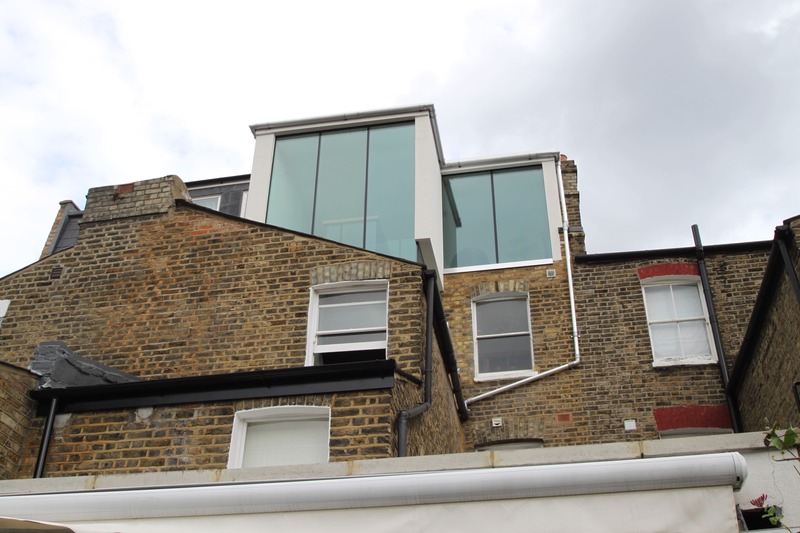 This is the perfect example of how a glass box extension can enhance a contrasting architectural style. 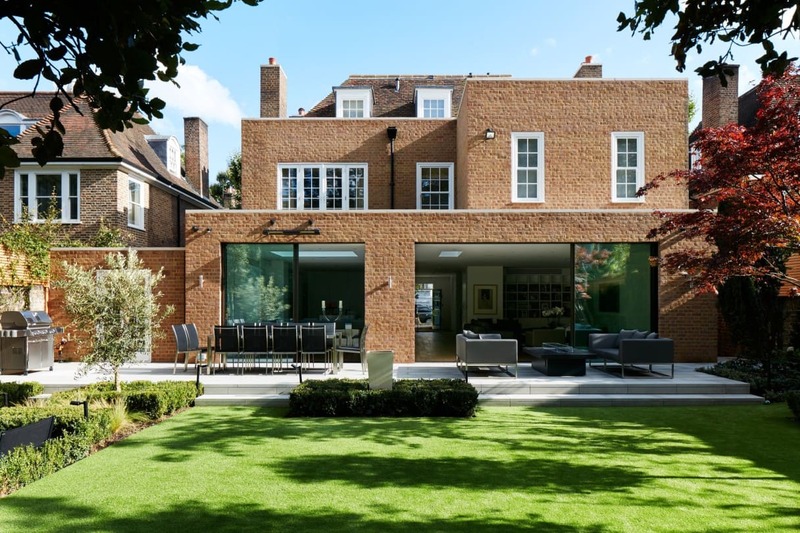 Like many others we have seen, this extension helps to blend the inside with the outside. Flooring continues into the outdoor area to make it seem like one space. 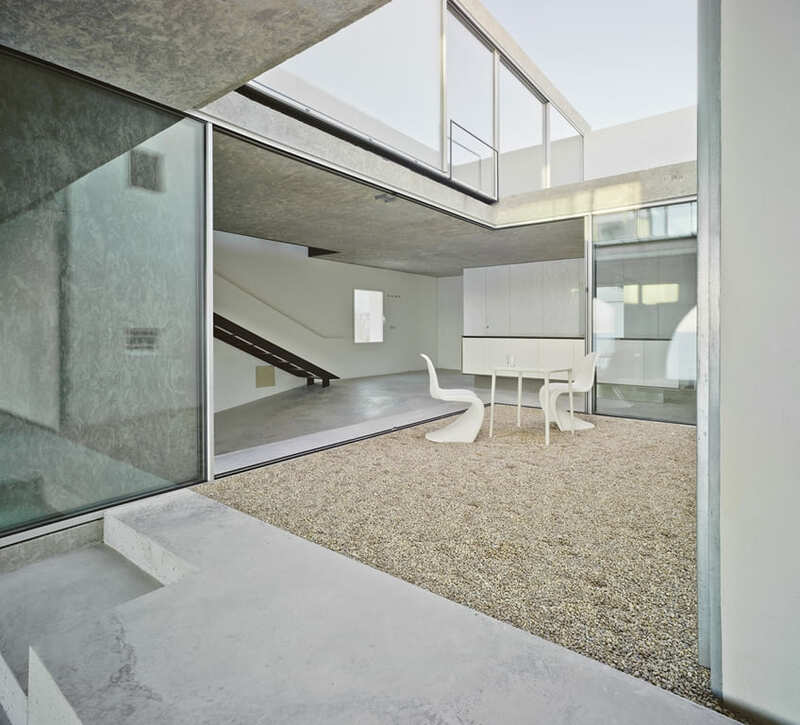 The glass structure allows the room to be flooded with extra natural light. 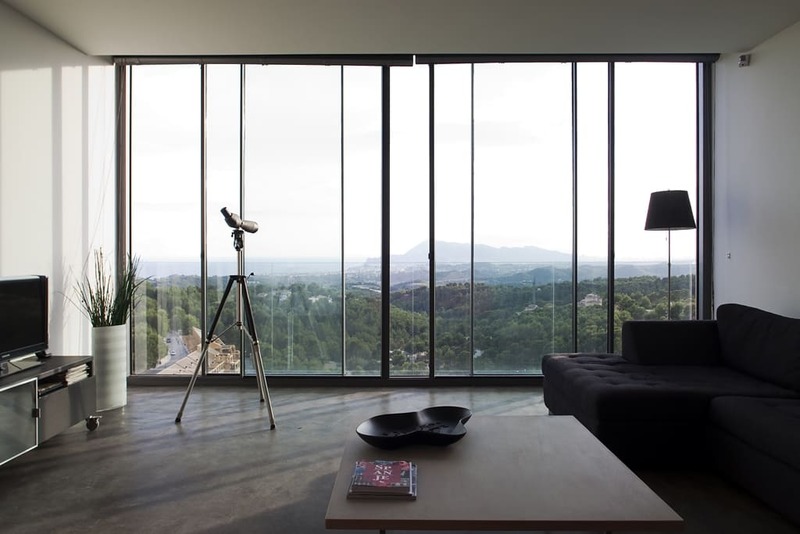 Structural glazing is one of the best ways to experience the positive effects of natural light in your surroundings. Suitable for all different types of properties including homes, offices, shops and public buildings. 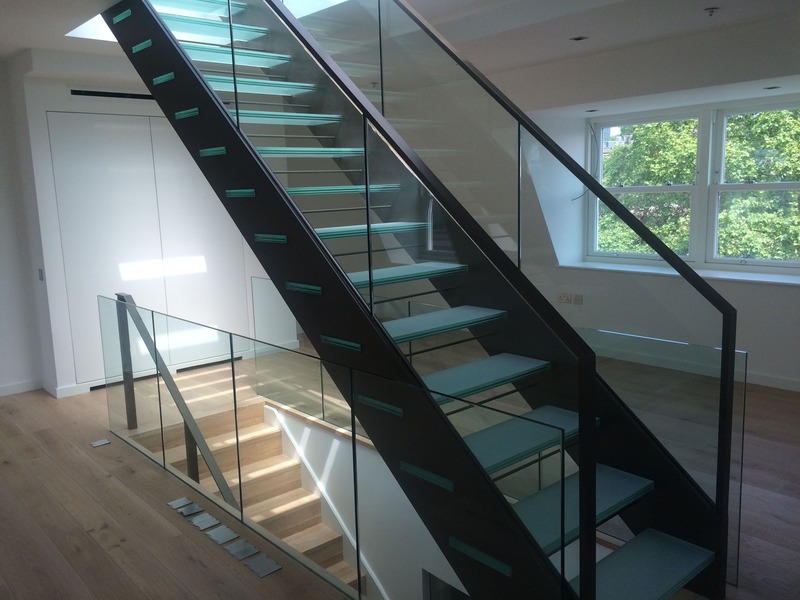 Our knowledge of the glass structural possibilities gained over many years working on unique bespoke projects where we have been involved from the design, engineering and installation of glazed structures. With over 100 years of experience in manufacturing and installing double glazed units, glass beams, and glass extensions, we have earned the reputation as a leading glass company in the UK. Our experience ensures our structures and products have never been more secure and comfortable. 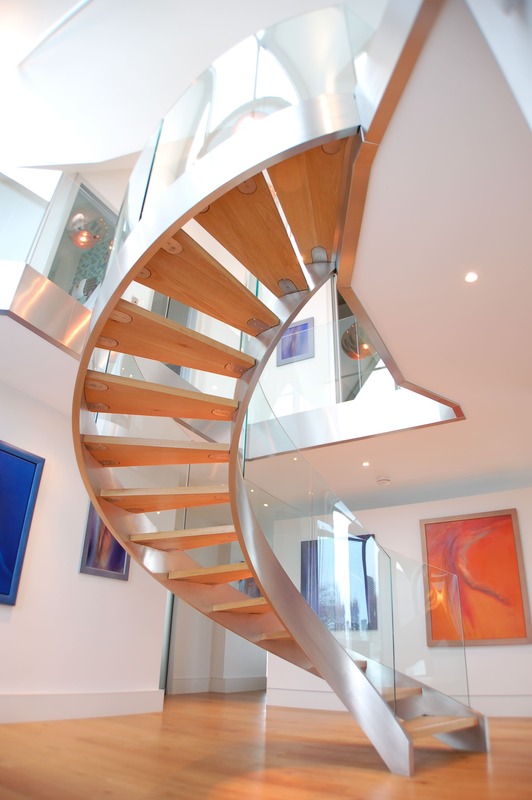 At Glass Structures we are inspired by award winning architecture and the innovative use of glass. 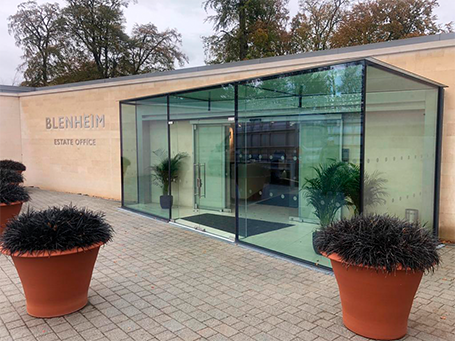 Structural glazing opens up a whole new world of design possibilities combining the technical ability and practical skill to deliver signature designs. 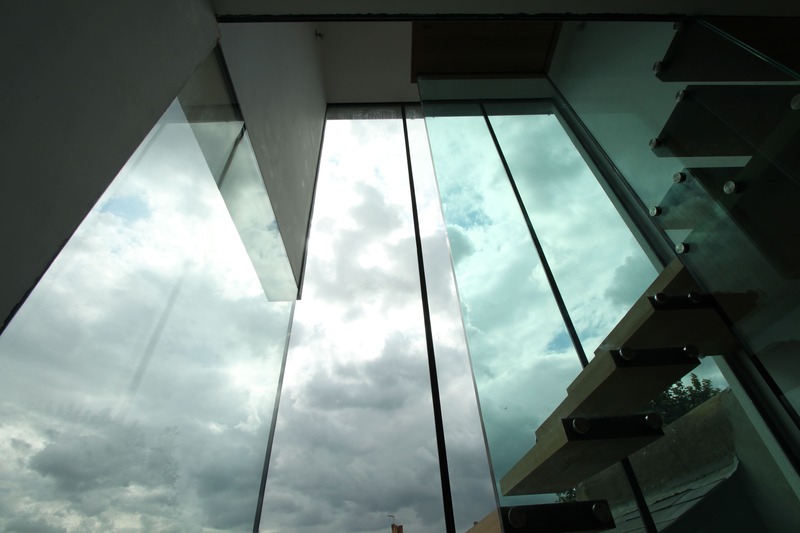 All of our glass solutions are designed, manufactured and installed in accordance with the relevant British Standards and comply with current building regulations. We can provide detailed design information as well as practical construction advice. 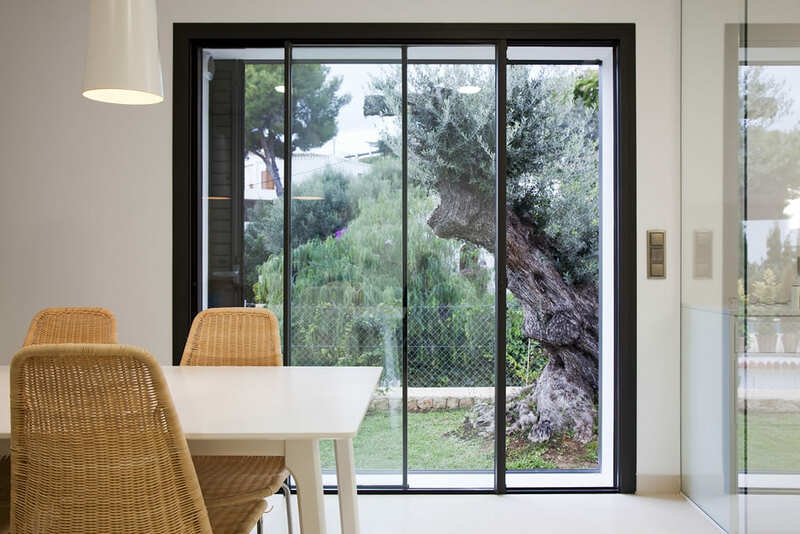 Allowing for as much daylight into the home as possible, a key concept in all modern architecture Multi point locking, with keeps set within vertical profiles designed to be concealed with the walls provide clean lines and high security. The base and head of the doors have been designed to be incorporated into the building fabric giving a flush threshold to the base and a seamless look to the head. 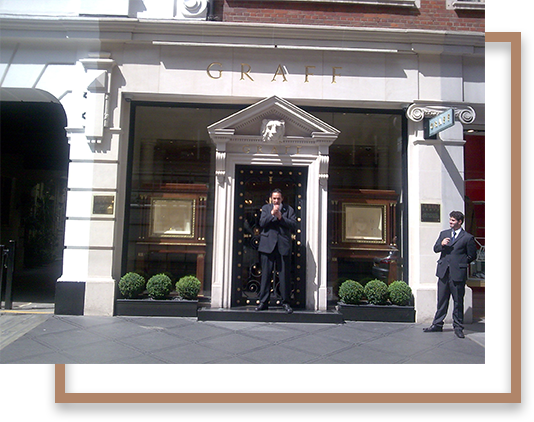 Frameless glass shop fronts are an ideal solution for window displays. Visually shopfronts allow the customer to maintain a modern and contemporary image and in today’s marketplace it is a must have feature. It will attract window-shoppers, and entice potential customers inside your shop. First introduced in the 1970”s by Pilkington Glass, frameless glass facades have shaped modern architecture for a generation and continue to influence many of the world’s leading designers. Frameless toughened glass doors can be installed with rails or patch fittings coming in a variety of finishes with decorative door handles to match. When you decide to add a glass front to your business you get many benefits. It opens the front of your shop and while being simple and pleasant for the eyes glass fronts bring more customers in. 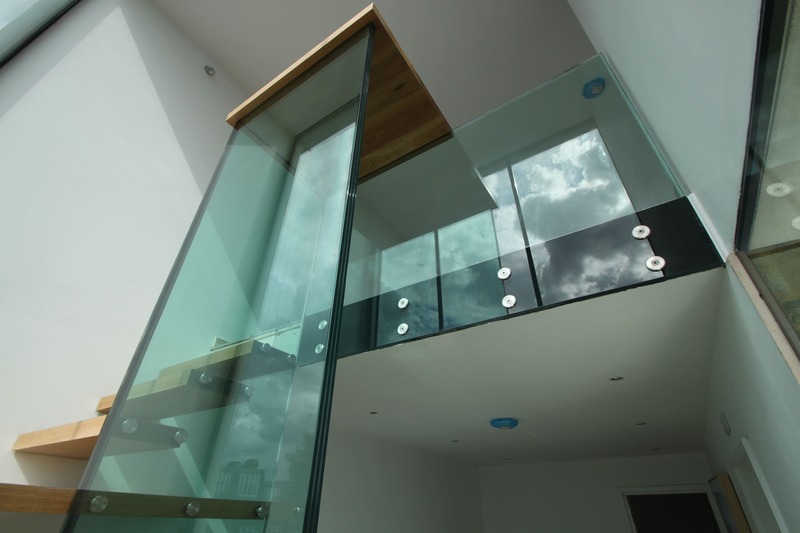 Glass balustrades provide an attractive surround to any balcony, patio or terrace. 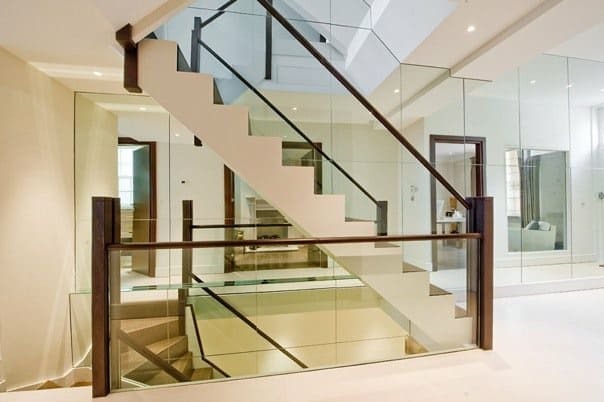 With a many design options and possibilities for glass balustrades you can create contemporary, luxurious and clear look for your garden area, staircase or a terrace. 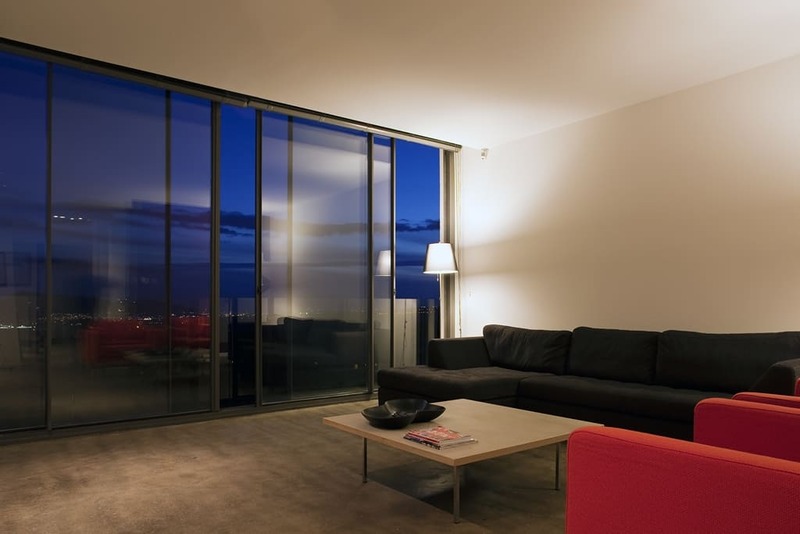 Contemporary designs open up interiors adding value and maximising your property´s potential. Frameless Glass Balustrades providing a modern frameless glass system, giving your house a designer look while providing an uninterrupted view for an affordable price. 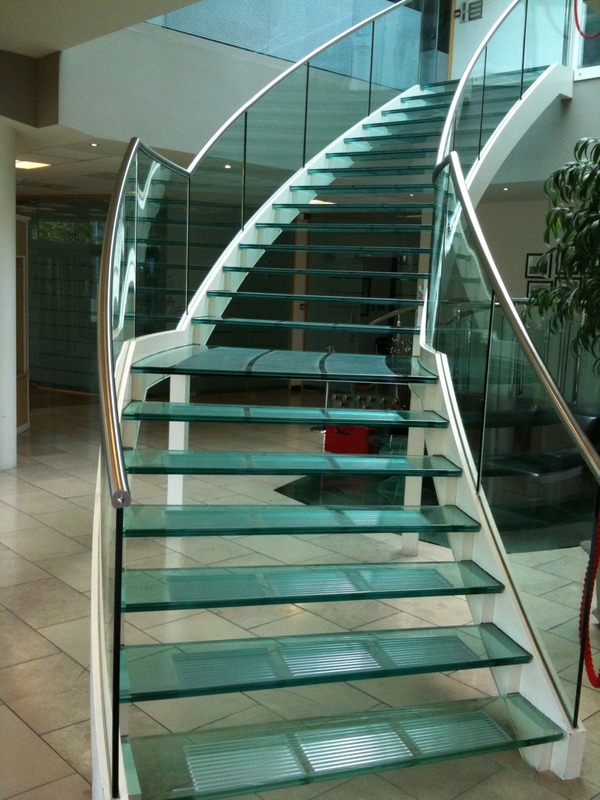 Thinking of a glass balustrade – think of a safety regulations. 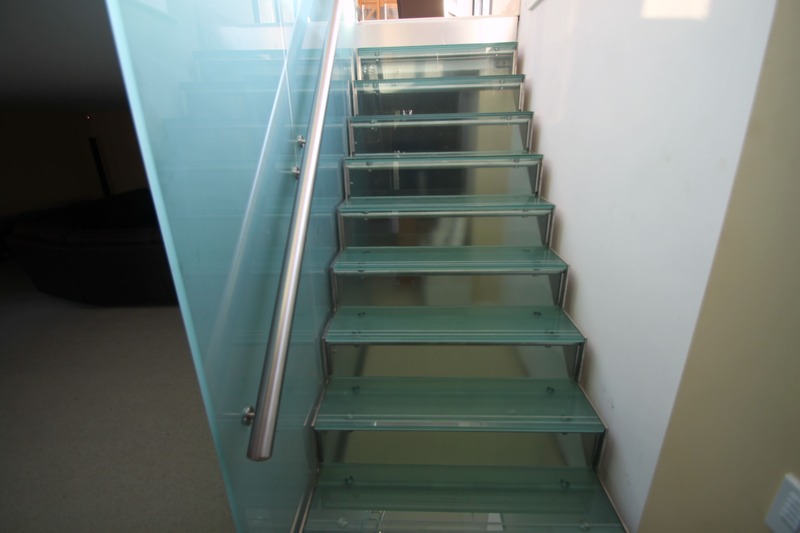 All of our designs comply with building regulations and all our glass is toughened to BS 6206 class A. 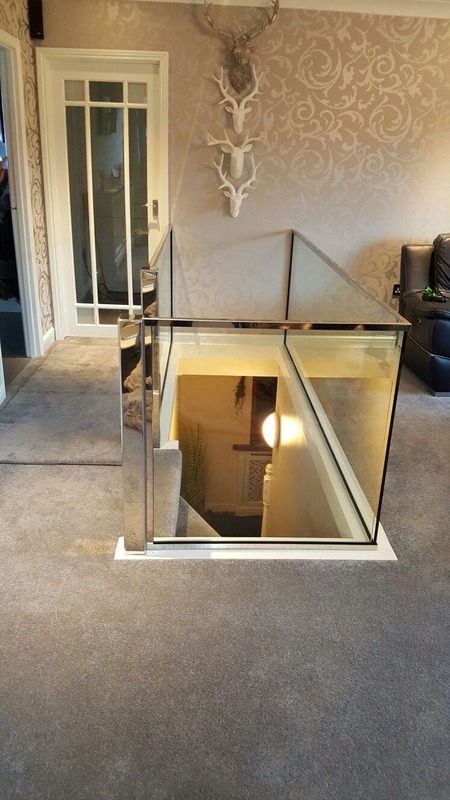 A walk on glass floor Designed to finish flush with your surrounding floor area, it can transform rooms that lack of natural daylight allowing more natural light to flow through your home. 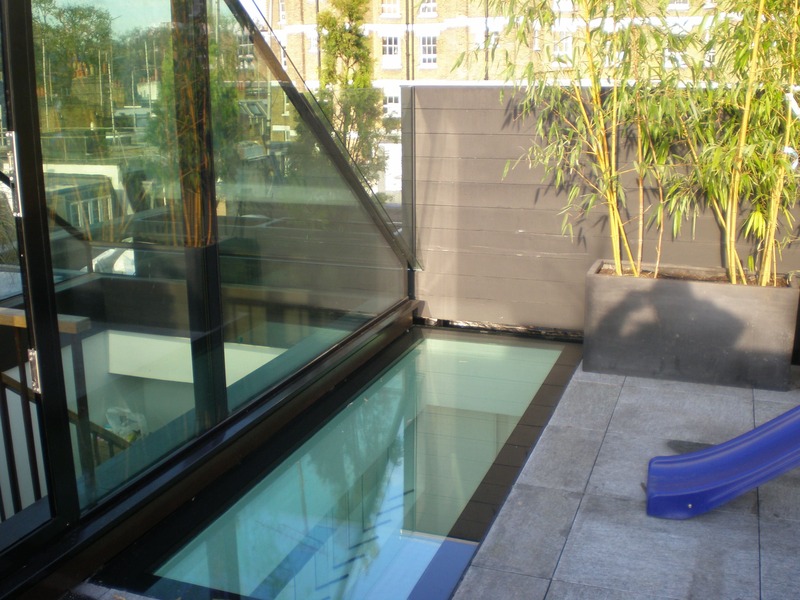 These structural glass floors can be fitted both internally and externally to compliment any part of your home or outside space. 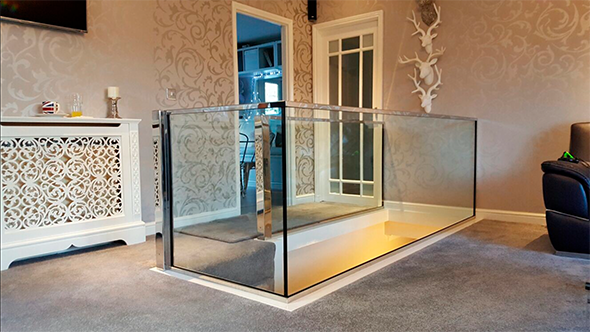 Walk on floors are available with different top layers from clear and opaque to decorative anti-slip finishes to provide an anti-slip layer meeting Health and Safety legislation. 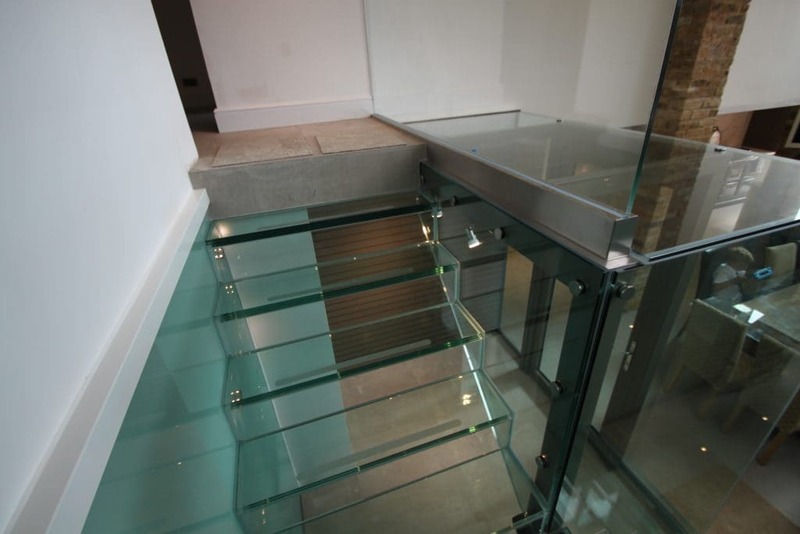 At Glass Structures we supply only the most durable and safe walk on glass panels that are designed to be regularly walked on with a high-quality finish for longer. 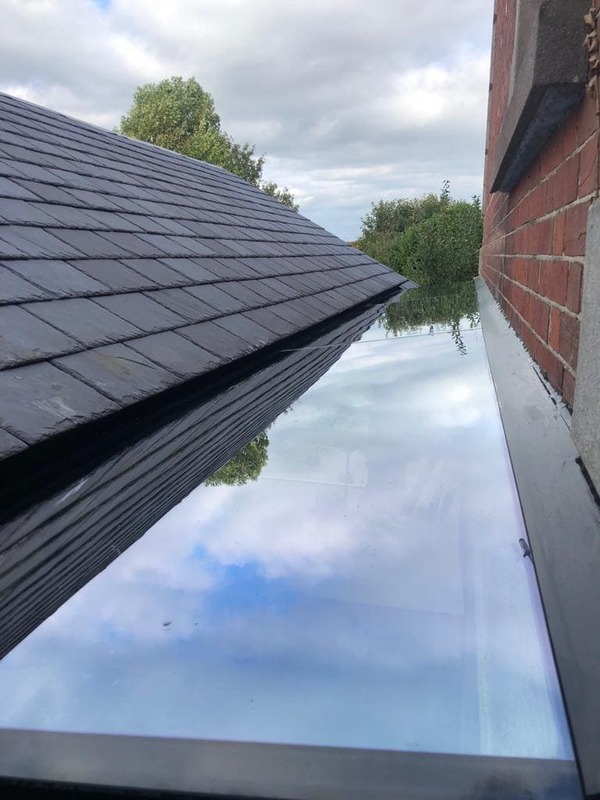 Glass roofs are ideal for bringing more light in to the rooms where external windows or doors are too far, too small or restricted due to neighbours’ property or trees. 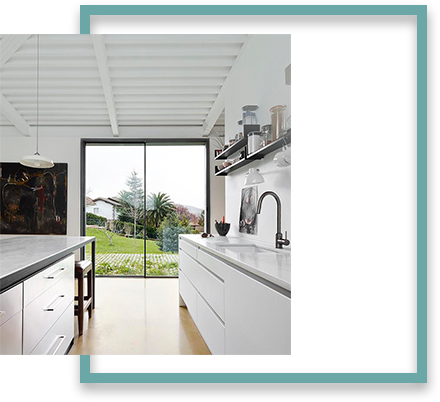 This example shows you how modern your kitchen could look like if you decide to add glass roof. 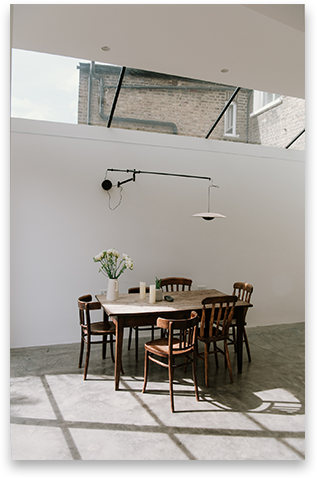 Our bespoke structural rooflight’s designed to provides a ‘frameless’ internal view which maximises daylight inside the building, creating a practical as well as visually stunning space. 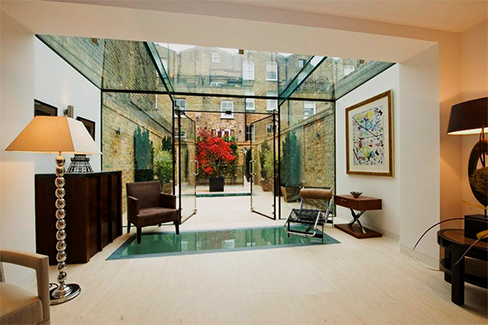 At Glass Structures we create an all year-round living space. 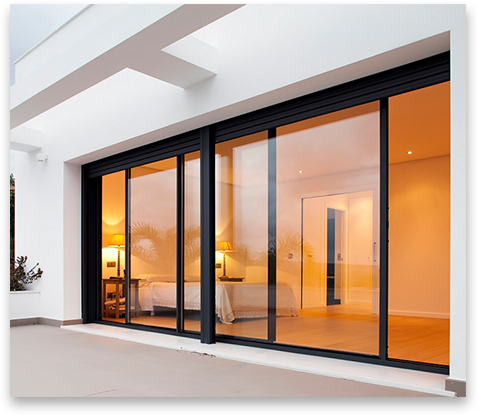 Using the latest in glass technology, our specialists can provide double and triple glazed products to ensure your house remains warm in the winter and cool during the hotter months.